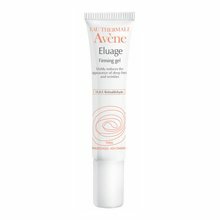 For maximum precision and efficacy against deep lines and wrinkles, Avene has developed Eluage Cream, formulated with a patented combination of powerful ingredients:Retinaldehyde provides a clinically-proven form of vitamin A to minimize the visible signs of aging without irritation. H.A.F. (exclusive fragmented hyaluronic acid) visibly reduces the signs of the skin aging such as lines, wrinkles and loss of firmness. With daily use, skin is firmed, the appearance of deep lines and wrinkles are diminished, leaving your skin smoothed, revitalized and radiant. Non-oily, easy to use, and slightly fragranced.